Order YOUR “The Essential Louisiana Seafood Cookbook” here. 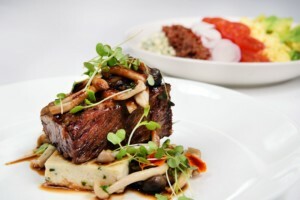 For Louisiana home cooks and professional chefs, seafood is an essential ingredient. From the finest restaurants to casual gatherings at home, crab, fish, oysters, shrimp and of course crawfish — to name a few — are not only ubiquitous, but also celebrated. 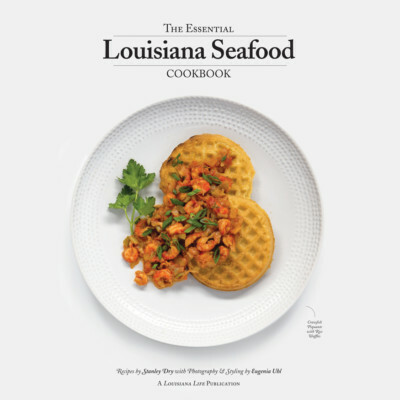 “The Essential Louisiana Seafood Cookbook,” a Louisiana Life publication by Renaissance Publishing, is a continued celebration of this essential resource from the Gulf Coast, as well as the state’s lakes, swamps, marshes and bayous. In this collection of 50 traditional and contemporary recipes by Stanley Dry — author of “The Essential Louisiana Cookbook,” Louisiana Life “Kitchen Gourmet” columnist, former senior editor of Food & Wine magazine and accomplished cook — top-notch ingredients are paired with fresh seafood to create delectable dishes imbued with the author’s signature simplicity. Edited by Louisiana Life managing editor Melanie Warner Spencer and originally published in the magazine, the easy-to-follow recipes emphasize Louisiana seafood and quality, local ingredients. Inspired, innovative and delicious, the seafood dishes in this collection are sure to become favorites in your kitchen.